For a site-map and a look in the shop click on the picture or the link below! In February 2013 the opening of our new premises took place. 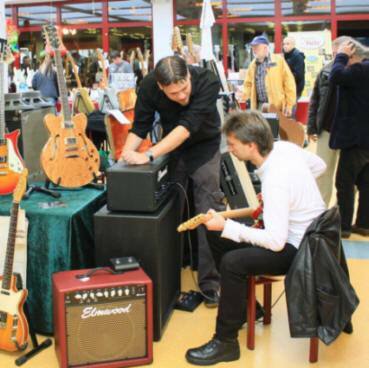 After almost 30 years under the roof of 'Oldenburger Music-Station' we separeted and opened 'Vintage-Guitar Oldenburg'. We remain at the same location and in the same building, but can now be found in the front house to the street side. Parking is available right outside the door. 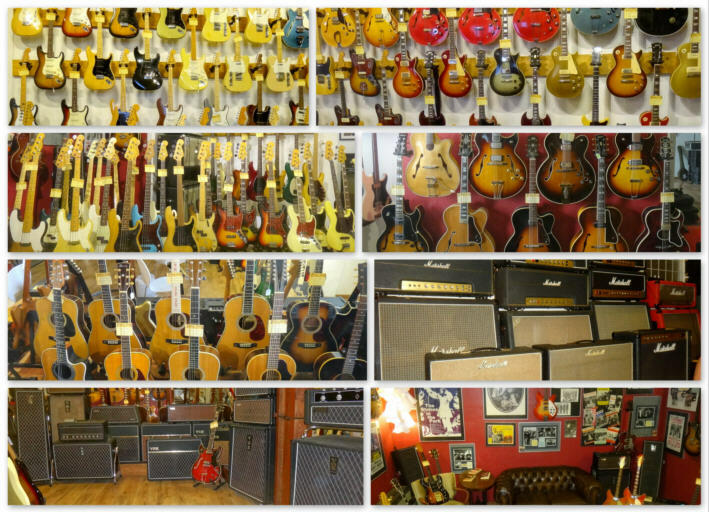 We sell used and vintage-guitars and -basses from Fender, Gibson, Gretsch, Rickenbacker, Musicman, Hofner, Framus, Ibanez and much more. Amplifiers from Fender, Marshall, Mesa Boogie, Vox, Orange, Hiwatt, Ampeg, and Musicman and much more. 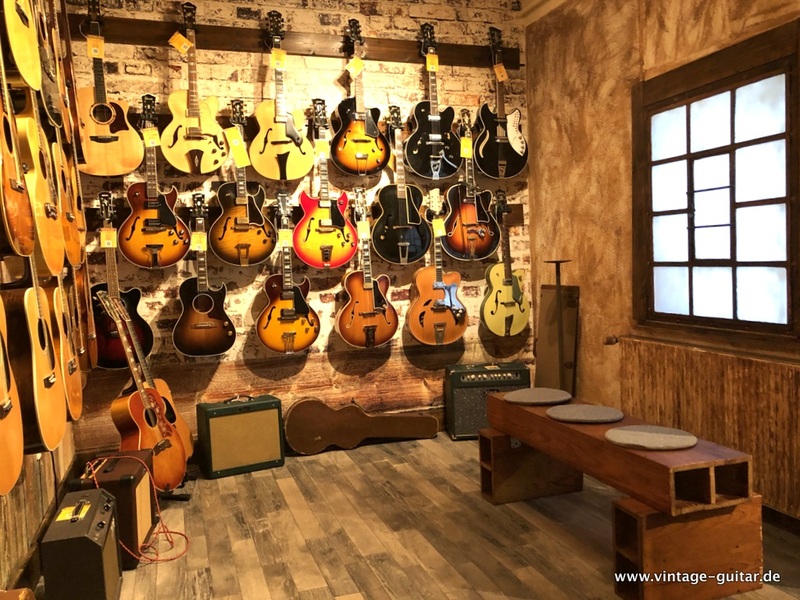 The next Vintage-Guitar show will take place on November 2nd 2019. For more details click the button 'Vintage Guitar Show' above. Testing in our shop or at home? Testing guitars in our store is generally not a problem, but for scurity reasons we do not have all the very high-price instruments on the premises, so please give us a few days' before a notice, then we`ll put for testing even new strings on. When bought by shipping within the EU, there is the opportunity to test at home and send the instrument back if not satisfied. Some very expensive instruments will stay at the owners home and only in exceptional cases will be shipped. We then prefer a meeting that must be agreed with us in our shop or at the owners home. Vintage guitars have become extremely attractive not only for musicians but also very popular as an investment. A few years ago American brokermagazines had recommended investing in old guitars as one of the world's best and most secure facilities and after that prices of popular models within 2 years increased by 50% to 100%. The 'Vintage Guitar Magazine' is publishing once a year the 'Official Vintage Guitar Magazine Price Guide' . It is based on reported sales of approximately 25 vintage guitar dealers from the U.S. and is a recognized guide on the market to almost all guitars, basses and amps from approximately 1900 to the present. Our new showroom 'Archtops & Acoustics' is finished and accommodates just such guitars in the appropriate 'western-style' ambience. 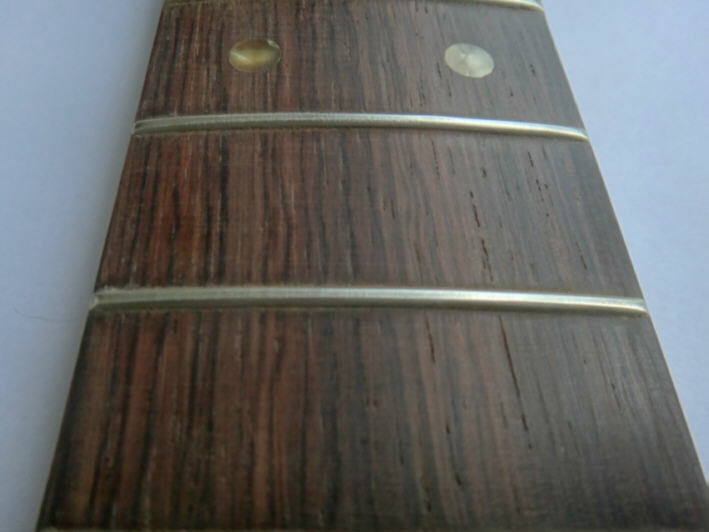 The theme of brazlian rosewood, whose trade ban and the consequences for vintage guitars collectors, players and dealers as well as the cancellation of the Vintage Guitar Show Oldenburg dominated the scene since last year and is eagerly discussed in various forums.